4.8-inch iPhone Math to arrive alongside iPhone 5S? Apple could be readying an even bigger smartphone to launch alongside the iPhone 5S in June, apparently called the iPhone Math. According to the hit-and-miss China Times wesbite the iPhone Math will carry a sizable 4.8-inch display and an 8MP camera. Instead of replacing the iPhone 5S the iPhone Math will be part of a dual release by the Cupertino-based firm as it looks to offer consumers a wider array of handsets. iPhone Math = iPhone 6? 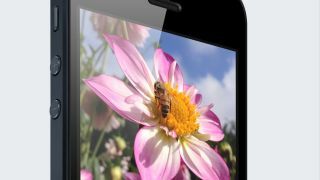 If the larger screen size is to be believed then the Math may make it to market under the moniker iPhone 6 sporting Apple's usual premium price tag, while the widely rumoured iPhone 5S may carry a more attractive price. Of course this is speculation from us on a report which has questionable sources and it would be a massive shift for Apple to launch two handsets side by side – although we were initially sceptical about the iPad mini and look where that ended up. That's not all though, as the same report suggests Apple will launch further iPhone models throughout the year, with a handset sporting a 12MP camera arriving just in time for Christmas. We're not convinced, are you?